The diversity of our county’s landscape – the Moors, the Dales the The Yorkshire Three Peaks to our seasides and coastal towns. There’s so much to see and do that we can never get tired of the things we get to do round Yorkshire! If you want to find some new and exciting things to in Yorkshire this summer, make sure to have a read of our recent blog for some ideas! 2. Our sport. From our Olympic athletes including the Brownlee brothers, Nicola Adams and Max Whitlock to everyone getting out and active in summertime, there’s a sport for everyone in Yorkshire. Swim in our Olympic standard pool at the John Charles Centre for Sport, cycle across tough courses the Tour de France teams have ridden before you. Compete in Yorkshire Warrior or a Tough Mudder event – there’s so much to do! 3. We’re renowned for some of our foodie inventions; the Yorkshire Pudding included. A Sunday roast isn’t complete without a good Yorkshire pud! 4. We’ve got some of the best craft beer brewed right here in Yorkshire. Whitby Brewery have a great range of ales which all have name relevant to their provenance; Jet Black, Platform 3 and Smuggler’s Gold to name a few. The Little Valley Brewery just outside Hebden Bridge is also a great craft brewery with their Tod’s Blonde in particular being a great beer – described as cool and crisp it’s perfect on a warm summers day. There’s too many breweries and beers to mention but it’s so much fun trying the different ones! 5. Tea – Bettys Tea Rooms has been an iconic business in Yorkshire since 1919 when Frederick Belmont, a Swiss confectioner, baker and chocolatier came to England. He caught a train on the south coast and mistakenly arrived in Yorkshire – Bettys has been here ever since. 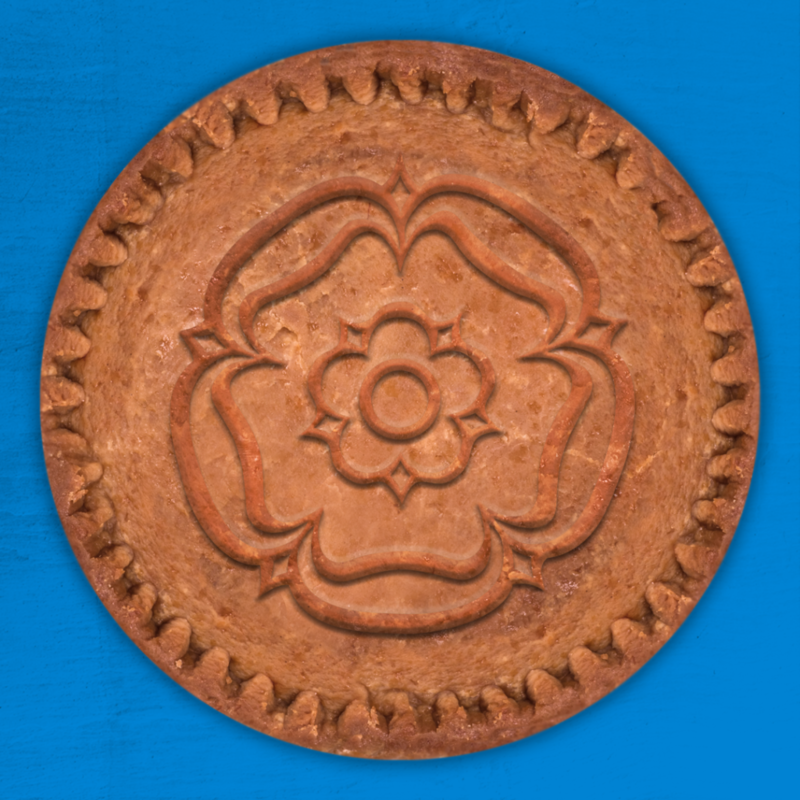 We also have Yorkshire Tea; since all the best things come from Yorkshire, our tea is no different and loved nationwide. 6. We’ve produced literary greats. The Bronte sisters; Anne, Emily and Charlotte lived in Howarth writing poetry and novels which have remained iconic throughout the years, their stories converted into cinema, television, dance productions and even operas. Their legacy has hugely influenced writers ever since and their books are classics in their own right now. 7. History. From our bear pits in Headingley to our Abbeys and Priories, we have a rich history with enviable architecture. From Bolton Abbey to Kirkstall Abbey, there’s no shortage of history to soak up within our county! It’s incredible to think that structures of such beauty were destroyed, but their ruins live on and we must never take the structures for granted! 8. RHS Harlow Carr is a 68 acre haven in Harrogate. One of two visitor attractions in Yorkshire to have been awarded a gold accolade by Visit England, it’s a little sanctuary within the Yorkshire countryside full of beautiful gardens with lots of events to attend. It’s a must visit in the area and somewhere you must go for a slice of peace and quiet. 9. We’re no stranger to the big screen, appearing on Harry Potter when Goathland Station in North Yorkshire was used as the Hogsmeade train station. Charlton Towers near Selby acted as Windsor Castle in Victoria by ITV. As for us, you’ll have seen us on TV this year on ‘Made in Yorkshire’ by Channel 5 where we showed you how our delicious Pork Pies are made, without giving away all our secrets of course! 10. We couldn’t discuss everything we love about Yorkshire without discussing our pork pies – we’ve been baking them in Yorkshire since 1928! Our hot water pastry encases tender cured pork seasoned with an irresistible blend of herbs and spices, we’ve definitely perfected the perfect golden bake over the years. Try one for yourself! Find your nearest Vale of Mowbray pork pie using our PieLocator! There’s so much more we love about Yorkshire – too much to summarise in our top ten! What’s your favourite thing about Yorkshire, whether you live here or have visited, we’d love to hear from you!